Articles Tagged "Met Office Climate Scam"
The following YouTube illustrates how the media and the Met Office put through the "Next Ice Age" story in the 1970's as fact, in the same way they have put through "Man Made Climate Change" in recent years. In our article Times Daily, 11 Sep, 1972: "Expert Claims Ice Age Creeping Up" I pointed out that the Met Office had used a branch of climate mathematical analysis to show how the previous 20 years (1952-1972) had cooled, and yet they are now showing warming for the same time span. This video goes further and shows 30 years of cooling! 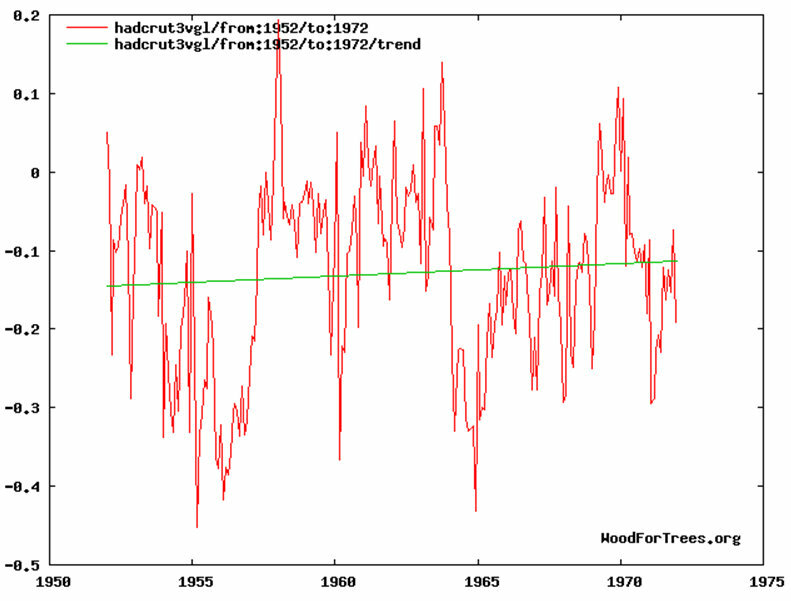 TheHocketSchtick blog Deja Vu 72 has been updated to show modern data clearly indicating this so called "cool period" has become "warm" to fit in with "Man Made Climate Change". What a tangled web the Met Office weave!